Albertville plays host to some the areas top bands. Events goers can look forward to live music on the main stage on all three nights, as well as a variety of music at the Lions shelter on Friday and Saturday evenings and Sunday after the Parade. 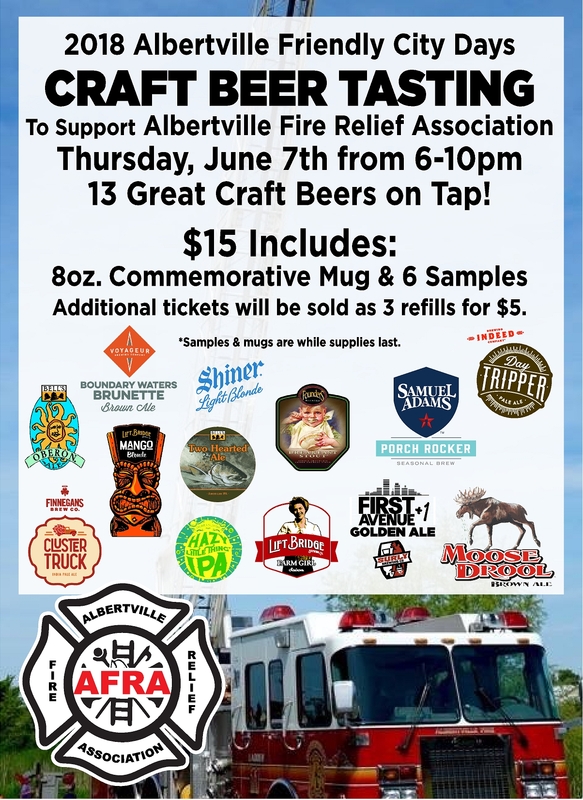 Garage Bands, with local ties to the Albertville area will take the stage on Thursday from 6:00 p.m. to 8:00 p.m., followed by local favorite a local favorite at 8:00 p.m. Be sure to come and check out the Live Music performing on the main stage this year while enjoying Craft Beer Sampling in the Central Park Beer Gardens. Friday night on the main stage will be a live band at 7:00 p.m., followed by the Dirty Word band from 10:15 p.m. to 1:00 a.m. and a live band at the Central Park Lion’s Shelter at 7:00 p.m.
George Jundt will once again be playing the concertina during the spaghetti dinner at 4:30 p.m. on Saturday night. Also on Saturday night, a live band will be playing at the Central Park Lion’s Shelter at 7:00 p.m., and a live band will perform on the main stage at 7:00 p.m. followed by PopRocks from 10:15 p.m. to 1:00 a.m.
New this year, a live band be performing on Sunday afternoon at the Central Park Lion’s Shelter at 3:00 p.m.